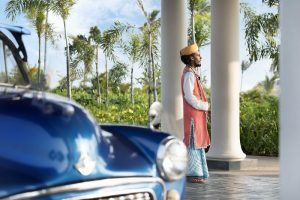 Bag yourself an amazing 15% reduction, exclusively through Silver Travel Club, at the Anantara Peave Haven Tangalle Resort Sri Lanka. Recognised in Condé Nast US Traveler’s prestigious 2017 Hot List as one of the best new hotels in the world. 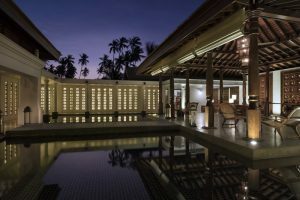 Set amidst a coconut plantation and golden crescent shores with glorious Indian Ocean views, Anantara Peace Haven Tangalle Resort offers a naturally exclusive hideaway for exotic beach life in a tranquil world. Practice holistic exercises on the shore as you watch the sunrise, or discover the local area by bicycle or tuk-tuk. Relax in paradise at the tropical pool, a refreshing cocktail in hand. Indulge in sensual spa pampering, including specialist Ayurvedic and reflexology treatments. Enjoy seven nights in a Premier Garden View Room with included daily breakfast, private transfers and flights with Emirates. Additional extras include a complimentary yoga class each and a 20% discount in the Spa. Seven nights from £1,620 per person. Terms and Conditions apply. Valid 1st May 2017 to 19th Dec 2017.